The new HX890E also has a scrambler and FM radio ! Leading the way again!! 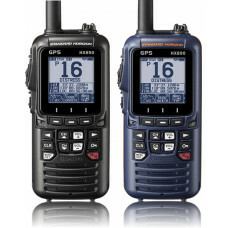 Standard Horizon is proud to introduce the brand new HX890 HIGH END FLOATING CLASS H DSC VHF/GPS. The new HX890 shares all the same capabilities of the extremely popular HX870, with the addition of some great new features. 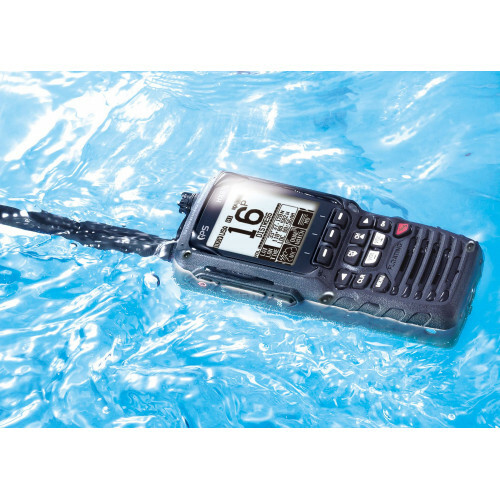 Some prominent new features include two scrambler systems built in, both a 4 code CVS2500A and a 32 code FVP-42 scrambler system ensure secure communications out on the water. Another new feature includes a built in FM Broacast band receiver, during times when radio communication is not necessary, relax with some music on the FM Radio broadcast bands. 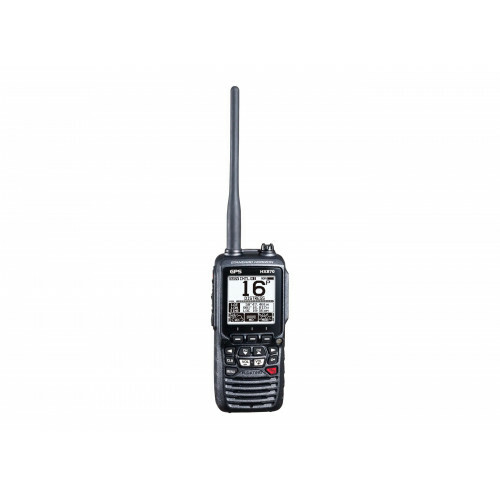 Other notable features include: Switchable daytime or nighttime mode, waypoint and route navigation, Group monitor function utilizing DSC Group position call. The new HX890 has also been redesigned with a new ergonomic case design, and has been rigorously tested to conform with the Militay Standard (MIL-STD-810F). The feature packed HX890 comes packaged with all the accesories including the rechargeable Li-Ion battery, Alkaline battery tray, 110V wall charger, 220V adapter, charging cradle, 12V charger, PC programming cable and belt lip with lanyard, and it's backed by our industry leading 3 year waterproof warranty.